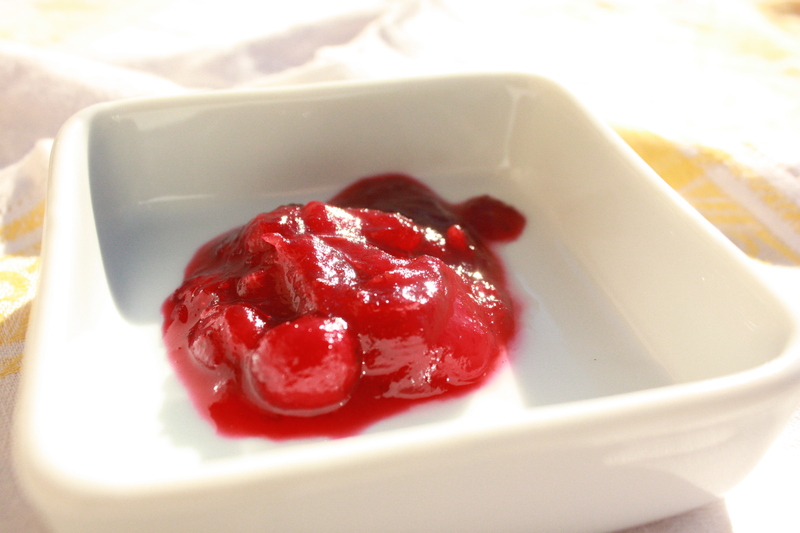 The addition of pear is very welcome for me in this cranberry sauce recipe. My family has been throwing homemade applesauce in our cranberry sauce for years, but never has a pear been met with the ruby red jewels of winter. Pear this cranberry sauce with some great friends and family and have yourself a merry little Thanksgiving, and Christmas too! This year I am thankful for food choices. We make choices with every dollar we spend on food. Whether conscience or not, each dollar spent makes a decision in the future of our food. I am grateful to now live in a place where farmers markets are abundant and supporting them makes me feel a part of a growing community of people who refuse to have decisions made for them. Place all ingredients in a medium sized saucepan, and cook over medium-low heat until cranberries pop, and it looks like....well sauce (about 20 minutes)! Cool at room temperature and refrigerate until ready to serve.